In GWorks Interviews: Monica Youn, Ms Youn discusses Citizens United, its effects and building a Constitutional framework for campaign finance reform. At the time of this interview, Monica Youn was the inaugural Brennan Center Constitutional Fellow at the New York University School of Law. Before this fellowship, Ms Youn directed the Money in Politics program at the Brennan Center for Justice. Part One: Vision The Brennan Center, her work and the challenges building a Constitutional framework for campaign finance reform. Part Two: Monologue v. Dialogue Citizens United, campaign finance reform and the idea of Democracy as a conversation. Part Three: Practicalities An ‘oligarchy of mega-donors,’ “corruption” as more than vote-buying and dangers of Supreme Court decisions in campaign financing. Part Four: Spaghetti Dinners Why the Supreme Court should stay out of campaign finance, what campaign finance reform might look like and where it might come from. GOVERNINGWorks (GWorks) [00:00:20:28] Would you describe the Brennan Center for Justice? Monica Youn (MY) [00:00:25:28] Sure. The Brennan Center is a combination of a public interest law firm and a think tank and advocacy institution. And, it is mostly lawyers. And, we work on kind of fundamental, largely procedural issues of democracy and justice. On the democracy side, our work tends to focus on elections. On the justice side, we tend to work on liberty and national security issues and also sort of access to justice, the availability of court procedures and mass incarceration type issues. GWorks [00:01:00:00] In what sense is Justice William J. Brennan, Jr., connected to the Brennan Center? MY [00:01:05:00] ...The [Brennan] Center was started by some of Justice Brennan’s former clerks and with his guidance and kind of blessing. But, he made it very clear that he didn’t want the Center to just continue on, you know, as if we were trying to channel the mind of Justice Brennan at all times. I mean, he knew and he trusted, I guess, the people he was working with to be concerned about the issues of democracy and justice that concerned the Justice in his life but not being kind of slavishly devoted to his memory. GWorks [00:01:38:26] Is there a core principle in Justice Brennan’s life that the Center finds particularly useful? MY [00:01:43:26] You know, I don’t think that there’s any kind of core statement of Justice Brennan’s that the Center is trying to organize itself around. I mean, he was someone who sought solutions and saw problems in democracy and in justice. And I think that we try to give ourselves a relatively flexible mandate on those issues as well. GWorks [00:02:08:21] What is your focus? MY [00:02:13:21] Well...in my time at the Brennan Center, I have been in the Democracy program and I led their campaign finance reform work for some time. And for the past two years, I’ve kind of taken a little bit of a step back and I’ve been in this Fellowship, physically located at NYU Law School. And, I’ve been trying to think a little more deeply about sort of larger Constitutional principles involved. GWorks [00:02:40:15] Has your work changed with your changed focus? MY [00:02:45:15] Absolutely. I think that...you know, when I first started at the Brennan Center I was much more engaged in the day-to-day battles of what was going on in campaign finance. I started there [at the Brennan Center] in 2008. Citizens United [v. Federal Election Commission] was decided in early 2010. And, we were engaged in a lot of largely defensive litigation battles on campaign finance. The campaign finance opponents have brought literally hundreds of lawsuits. And, we were defending those relatively strategically and also trying to advocate for particular legislation and reforms in Congress and in the states. GWorks [00:03:24:11] Do you now focus less on litigation and more on Constitutional theory? MY [00:03:29:11] Yes. So, I am doing quite a bit more theory. And I am thinking more about what are the core Constitutional issues here. If we think that there’s something wrong with the vision of the First Amendment as articulated by the majority in Citizens United, then how can we articulate what our sense of the First Amendment is that counteracts...that. And so, I haven’t been nearly as involved in the day-to-day litigation battles and advocacy battles. GWorks [00:04:02:24] Do you prefer one or the other—litigation or this more theoretical focus? Is it an impossible choice? MY [00:04:07:24] I mean, I like litigation as something to do. I mean, litigation is kind of the sport of kings. It’s a fun thing to do. It’s like running marathons: It seems like it’s enjoyable but ultimately it’s really bad for you. I’m not sure, however, in terms of overall game plan or strategy, that a primarily litigation strategy makes a lot of sense with the current composition of the Court. GWorks [00:04:31:26] Would you explain how the Supreme Court’s current composition leads you to think a litigation-centered strategy may not be best? MY [00:04:38:26] I think that the Court right now is on this kind of de-regulatory track in campaign finance. And, they keep taking these cases. And, we sort of know what they’re going to do. And, we could just keep throwing ourselves against that wall and expend a lot of research...a lot of resources and a lot of energy. But, they’re not that many of us on the campaign finance reform advocacy side. We need to be a little strategic about how we’re working. And, you know, even before Citizens United and the recent kind of re-regulatory turn by the Roberts Court, it was unclear that the more moderate wing of the Court had any kind of unified view of what the Constitution demanded in terms of democracy. GWorks [00:05:46:15] Are you working to provide a conceptual framework with which an advocate can make legitimate Constitutional arguments about campaign finance reform? MY [00:05:53:15] Yes. Campaign finance reform. And, I think democracy more generally. I mean, even before Citizens United, we were losing cases on, for example, voter identification laws, that sort of thing. And, I think it talks to a, you know, we would like to be able to articulate a more unified Constitutional vision of participatory democracy. GWorks [00:06:16:00] Is this a new thought, to switch focus from the practicalities of litigation to conceptual Constitutional considerations? MY [00:06:21:00] I mean, you know, we are both a law firm and a think tank. And, I think that we felt the need of a deeper and more robust Constitutional vision that could guide litigation strategy, that could guide advocacy strategy and that could, you know, act in the realm of, I guess, ‘thought leadership’ would be one way of putting it. You know, one thing that I’m pretty involved in is sort of active outreach to the legal academy, to the people who teach students, to the people who testify in Congress, write Amicus briefs in litigation. And, you know, we think of all of that as being part of the same overall effort. I mean, we don’t think of it as merely generative of litigation down the road. GWorks [00:07:12:01] Was a conceptual framework for campaign finance reform missing before the Brennan Center—specifically you—began to focus on it? MY [00:07:19:01] I don’t think that it was missing. I think that it had been a little bit de-emphasized. There was a big Constitutional push in campaign finance around the time that McCain-Feingold was passed. And, a lot of, for example, the big academic thinkers were involved in the effort at the time, a lot of the kind of Constitutional heavy hitters. And then McCain-Feingold was passed. And McCain-Feingold was a deeply regulatory law. It didn’t, you know, have big, romantic details. It was very complicated. And, I think election law got sort of taken over a little bit by specialists. No one was articulating any more what were the fundamental justifications for what was...you know...this very complicated regulatory regime. GWorks [00:08:39:11] Is Citizens United the result of the ability to offer a conceptual Constitutional vision? Or is it a practical victory for the reduction of government regulation? MY [00:08:46:11] ...Citizens United was the culmination of decades of what can be thought of as ideological warfare. I mean, there was been a very concerted effort to make money not just related to speech but equated with speech; to make corporations not just have, you know, certain particular rights but the same rights as individual participants in a democracy. And, it’s been part of an overall agenda that can be traced back to the early 1970s. And the lawyer who brought Citizens United has brought over a 100 lawsuits testing various parts of the campaign finance regulatory universe. And, Citizens United was the one in which he’s gotten the most success. But, it’s part of a much larger campaign. GWorks [00:09:46:29] What is that larger campaign? Corporate civil rights? MY [00:09:51:29] I mean, part of it is corporate civil rights. Part of it is about the power of, I think, money. And money to act freely without regard to regulation. And, you see this in the campaign finance arena. You see this in a number of other arenas, as well. I mean, you see that in some of the current rhetoric that’s going on about tax, about various kinds of corporate regulation, etc. The question is: Should our democracy be considered a marketplace where whoever has the most money has the most power? Or is there some sort of countervailing vision of what a democracy should be? GOVERNINGWorks (GWorks) [00:10:36:20] Would you describe the Supreme Court’s 2010 decision in Citizens United [v. Federal Election Commission]? Monica Youn (MY) [00:10:41:20] Well, in theory the decision comes down to two competing notions of the First Amendment. And, I think that the Supreme Court articulated, I think, a very simple and in some ways a very charismatic vision that the First Amendment is about, in some ways, monologue, is about, if you have the ability and means and wherewithal to speak and to broadcast your message as widely and as loudly as possible, then the First Amendment is about removing any limits on that kind of a monologue. I think that a competing vision that the Supreme Court had been open to over the past multiple decades that it’s been thinking about these issues is that the First Amendment is about dialogue and that the purpose of Democracy in some way is to inculcate dialogue. And that that is at least a competing Constitutional vision that should be given some weight and that is equally involved with what we think of as First Amendment values. GWorks [00:11:48:24] How does the 2011 case, McComish v. Bennett, fit in? MY [00:11:53:24] So, the Bennett case in Arizona was a case involving a public financing system.1 And so you had private parties who could spend as much as...private candidates who could spend as much as they want who didn’t choose to opt into the public financing system. And you had publicly financed candidates. Now, the question was, what happens if a publicly financed candidate is in a race against a privately financed candidate? And, you know, the state tried to budget in advance for its public financing candidates, trying to make sure that they were, you know, had enough money to make them competitive. But, what happens if that race is particularly a hot race? What happens if, all of a sudden, rather than, you know, a few, you know, tens of thousands of dollars being spent on that race, hundreds of thousands of dollars are suddenly being spent on this race? And the publicly financed candidate is limited by the amount of grant money that she receives. Should you be able to give the publicly financed candidate additional grant money up to a certain level to make sure that the race is competitive and that they voters hear both sides of the issues? Somehow, providing additional publicly financed funds to the publicly financed candidates was treated as a restriction of the...a violation of the privately financed candidate’s rights. Like somehow giving someone the money to respond to spending was considered to be a violation of the rights of the spenders. Consideration of this case should proceed from recognition of a simple point: the law at issue in this case is not, in the words of the First Amendment, a law “abridging the freedom of speech.” Rather, it adds voices to the political forum and thereby expands speech. It is Petitioners—in complaining that these additional voices are a burden on their message—who in reality are seeking to restrict speech. GWorks [00:13:55:11] Was the Arizona law at issue in Bennett trying to ‘level the playing field’? MY [00:14:00:11] The whole ‘level the playing field’ analogy is not something that advocates of reform have ever really supported. I think that it’s this kind of boogeyman that the conservatives have come up with as to what they think that campaign finance reform is trying to achieve. It’s kind of like trying to talk about health reform and using only the broccoli metaphor. GWorks [00:14:22:10] What is the apt campaign finance reform metaphor, if 'leveling the field' is wrong? MY [00:14:27:10] The apt metaphor is, should the amount of money that goes into an election campaign be somehow related to the voluntary decisions of individuals? Like it never, you know...so ‘Exxon PAC’ was always going to be bigger than, you know, ‘Tiny Mom-and-Pop Corporation PAC.’ You know, Tiny Mom-and-Pop Corporation PAC was going to be able to spend, you know, a couple of thousand dollars, ten thousand dollars. Exxon PAC was going to be able to spend hundreds of thousands of dollars. And that wasn’t a problem because Exxon PAC was funded by shareholders and employees of Exxon who decided, voluntarily, that they wanted their money to go into a fund for political advocacy. The problem is when you have these vast sums of money that have nothing to do with the voluntary decisions of individuals to devote that money to political spending and those are being used to...those are being kind of channeled into the political system in a way that has very little to do with the decisions of individuals. The analogy that was used in Austin was a barometer analogy, was the idea that the amount of money that’s supporting these ideas should have some relationship to how popular these ideas are, to the decisions of individuals rather than the decisions of these corporate directors who are, you know, dealing with other people’s 401(k) funds to advance their own political agendas. GWorks [00:16:29:29] How does the barometer idea work? MY [00:16:34:29] The barometer means that there should be some relationship between the amount of money spent on behalf of a candidate or idea and the voluntary decisions of individuals. Like, no one complained in the previous elections, you know, for example, in the 2008 election cycle, that Barack Obama was able to...had a lot more money to spend than Dennis Kucinich because people were giving Obama money because they liked him. And fewer people were giving Kucinich money because they didn't like him as much. And so the idea that Obama has more money because millions of people support him, you know, is not at all a problem. The problem is when you have a couple of people or some interest group or some individual who have a disproportionate amount of money compared to the actual support of their idea. But because they have a disproportionate amount of money, they’re able to have an outsized influence on political dialogue. GWorks [00:17:37:22] How does Citizens United undo the barometer idea—upsetting the relationship between the amount of money spent in a campaign & the voluntary choice of individual voters? And, you know, ExxonMobil in fact did that in the 2008 election. And I think they raised, you know, something like $800, $900,000. I mean a totally respectable amount of money. Certainly much more than many smaller PACs would have been able to raise. But, after Citizens United, the amount money that ExxonMobil is able potentially to access in order to...in order to advance its political agenda is no longer that $8 or $900,000 that’s voluntarily given. It is instead the $40 Million or...$40 Billion or $80 Billion available to it in corporate profits that are just available in its general treasury. They no longer have to have any kind of, you know, ‘let’s tie this to individuals,’ ‘let’s talk about popular support,’ ‘let’s drum up support the way anyone else does.’ They can simply take advantage of funds that were used, you know, that were given to them for corporate business purposes...in order to influence political decisions. GWorks [00:19:40:13] Is opening corporate coffers the harm of Citizens United? MY [00:19:45:13] Citizens United, you know, people like to talk about Citizens United a lot because its very recent and very famous. Citizens United was by no means the beginning of this problem. And, it’s not going to be the end of this problem. I think a lot of people focus on Citizens United in particular because it involves corporations and a lot of progressives like to think of corporations as ‘The Man,’ you know, the big evil. And, you know, there are lots of different types of corporations just as there are lots of different types of individuals. What Citizens United did was give that same unlimited spending power for independent advocacy to corporations. Corporations, whether they be non-profit corporations, for-profit corporations, whatever. And, I think it used to be relatively difficult for an individual to say, ‘I, as an individual, am going to run, you know, millions of dollars in attack ads against a particular candidate.’ It just, you know, was too complicated to do as an individual rather than as some sort of corporate entity. And, so, it has, you know, in some ways, opened the door to that. GWorks [00:21:10:19] This Term, the Court will consider McCutcheon v. FEC. What new question arises? MY [00:21:15:19] McCutcheon involves a law that’s been on the books for almost 50 years. And, it has to do with the amount that individuals can contribute. Now, Citizens United is in a different realm of spending. Citizens United is about independent expenditures. McCutcheon has to do with contributions. Independent expenditures are unregulated money, are unlimited, what used to be called ‘soft money.’ But, McCutcheon has to do with direct contributions to candidates and how much any individual is allowed to give in the aggregate. And, it used to be, you know, I think that the aggregate limits that are involved in McCutcheon reflect a principle that no one person should have too much political influence. That is fundamentally at odds with what we think of a Democracy being. I mean, you should not be able to give the maximum amount to every single candidate, every leadership PAC, every, you know, every organization, you know, every party organization because then you would be able to become the sort of the sort of money power player that we are uncomfortable having, especially in the realm of direct contributions given to candidates and parties. GOVERNINGWorks (GWorks) [00:22:47:17] A tiny percentage of people fund campaigns. How do you assess the practical problem of campaign financing as it exists? 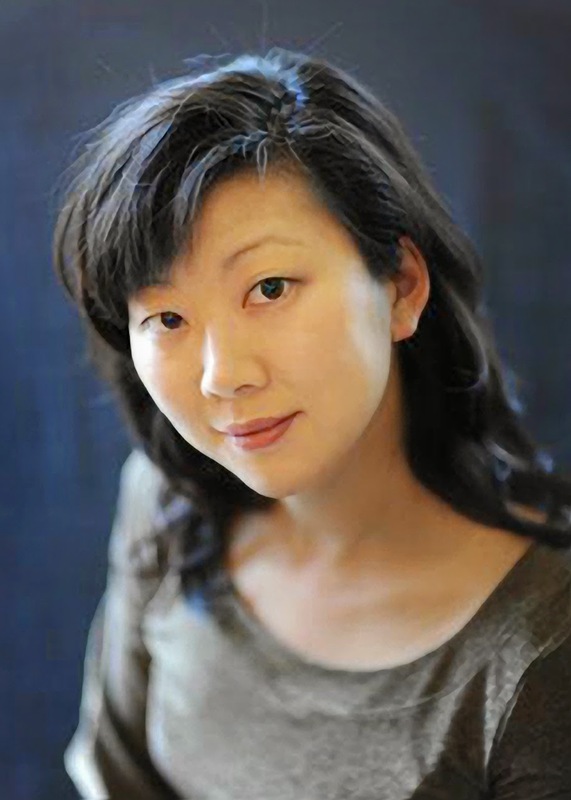 Monica Youn (MY) [00:22:52:17] I think that that percentage has stayed relatively stable. Now, there have been some encouraging signs. And, I don’t know whether they’ve yet been enough to move that percentage significantly. But, you know, there was this...there was a lot of talk about the ‘small donor revolution’ in 2008. And, I think that that worked kind of in both parties. Neither Barack Obama nor John McCain were the choices of the big money people in their party, of the big money establishment. And, I thought that it was incredibly encouraging that these two candidates ended up getting their party nomination—Obama, I think, largely through small donations; and McCain through a combination of small donations, big donations and public financing. And, I think that with Citizens United and with the advent of the Super PAC, that’s changing. I mean, you’re already seeing for the 2016 election Republican wannabe candidates dancing...on people like Sheldon Adelson. I find this whole spectre just incredibly disturbing. That you’re now going to have this oligarchy of mega-donors who are going to be deciding who gets to be the candidate. GWorks [00:24:13:03] How do you understand “corruption” in campaign finance? MY [00:24:17:03] I mean, this word, “corruption,” gets thrown around a lot. And, you know, you have think about what “corruption” means. This is one of the big fights that we’re having on a conceptual level. The Supreme Court, particularly Chief Justice [John G.] Roberts[, Jr.], seem to think that corruption is no more than bribery. We already have laws against bribery. So, why should we worry about some more expansive notion of corruption? I think that it’s very hard to demonstrate empirically that vote-buying exists. You would have tap every Congressman’s office. You would have to, you know, police every donor for every little wink and nod. I think that what money has been doing is fundamentally setting the agenda in this country. Why are we not having serious discussions about climate change? Why is banking regulation taking the shape that it is? Why is it so difficult to eliminate waste in defense contracting? GWorks [00:25:25:12] Is there a concrete way to think about this less concrete negative effect of money in politics? And so, there…you know, so proposals were put forth, including what was called the Disclose Act. And, you know, being involved in...you know, I’m not a Washington person, I’m not a lobbyist, I’m not someone who gets directly involved in that kind of advocacy. But, it was interesting to me, even looking from my perspective, that what happened with the Disclose Act was once the NRA [National Rifle Association] got involved it was just a no-go. It was kind of like not one politician was willing...to stand up to the NRA because of the amount of money they would be able to spend against them in a real fight. It’s kind of like, you know, people keep saying, ‘Well, you can’t prove that money has power.’ People aren’t out there actively picking fights with these huge players. I mean, what you see is a mega-money player like the NRA comes into a particular dispute and just shuts it down. They don’t have to spend a cent to do it. GWorks [00:27:06:21] ‘Corruption’ as the mere threat—to spend, to fund an opponent in the next election—sufficient to shape political action? MY [00:27:10:21] I mean, you know...it used to be that, if you were a politician who was considering some sort of, for example, energy, climate change, Cap and Trade legislation and, you know, someone from ExxonMobil came to you, you would know, ‘Well, OK. They have their, you know, $900,000 PAC that they could spend directly against me. And that’s, you know, a bit worrying.’ But, if you know that they suddenly have their $80 Billion general treasury, that, you know, obviously they’re not going to spend all of that money against you, but it just increases the amount of money they have potentially available to bring to these negotiating tables by a factor of about 50,000. I mean, I don’t think that’s insignificant. GWorks [00:27:54:05] Do courts or legislatures better handle this more subtle idea of “corruption”? MY [00:27:58:05] What’s extremely frustrating about Citizens...you know, I don’t think that courts should be legislating the definition of “corruption.” We have a Supreme Court in which not one single person has ever held any kind of elective office. GWorks [00:29:04:09] Is reliance on ‘corruption’ as a quid pro quo simplistic? Unrealistic? I mean, if there’s a smoking gun and someone with an actual gym bag filled with cash, as happened in the AZCAM scandal in Arizona, which was kind of great, then you can do something like that. But that’s, you know, those kinds of incredibly crude efforts at outright bribery, notwithstanding what’s happening in the New York City mayoral race right now, are extremely, extremely rare—and, you know, only really get the small fry, only get the idiots. Anyone who is...you know, a real corporation is not going to get their hands involved in something like that. They don’t have to. It’s not the most effective way to get things done. You don’t have to...you know, if you are going to a negotiation and you’re heavily armed and, you know, you’re carrying a machine gun and your opponent is not, you don’t have to fire the machine gun in order to get your way. And so, for the Supreme Court to be looking for that kind of, you know, smoking gun is absurd. GWorks [00:30:12:10] Is it right to say that legislative inaction puts the Supreme Court in a particularly powerful position in campaign finance? MY [00:30:16:10] I think that’s right. The Supreme Court has been Constitutionalizing more and more of this area, making it impossible for reasonable regulation to take place. I mean, it would be kind of like if, you know…Campaign finance is a complicated area under the best of circumstances. And, you have politicians—some well-meaning, some not as well-meaning—working together on various regulatory compromises in order to get this very complicated system with a lot of loopholes, a lot of potential end-runs, to function. You know, I think of it as something comparable in complexity to something like the tax code. Now, imagine if the Supreme Court goes in, knowing nothing about tax law, and just Constitutionalizes whole swaths of the tax law. Like, ‘You can’t do this; you can’t do this; you can’t have anything that functions like that.’ It would create a regulatory nightmare. And that’s what the Supreme Court in its, you know, arrogance is doing right now. GOVERNINGWorks (GWorks) [00:31:24:12] On what principle should the Supreme Court stay out of the campaign finance issue? Monica Youn (MY) [00:31:29:12] I think that the...you know...I think that the term principle is perhaps problematic there. You know, I think that the Supreme Court, in all sincerity...the conservative majority on the Supreme Court in all honesty, in all sincerity believes that the First Amendment requires it to do what it is currently doing. I think that, you know, we’re talking about a level of ideology...we’re talking about, you know, an ideological disagreement. But, just because something is ideological doesn’t mean it is not principled. GWorks [00:32:07:22] Assuming there is a principled reason for the Supreme Court's holding in Citizens United, on what principle might the Supreme Court not Constitutionalize campaign finance? MY [00:32:14:22] I think the principled reason for the Supreme Court not to engage in this kind of Constitutionalizing of Supreme Court...of campaign finance is that they don’t know what they’re doing. Politics is an area where there are always going to be speech values on either side. There’s no, you know...there are First Amendment rights certainly of, you know, of individual spenders, of entities, of groups, of associations. And there are also First Amendment rights of voters, of participants, of listeners, of the audience. Like, they don’t understand it. They don’t get it. And, for them to go in in sort of a ham-handed way will do a lot more harm than good. The absence of prearrangement and coordination of an expenditure with the candidate or his agent not only undermines the value of the expenditure to the candidate, but also alleviates the danger that expenditures will be given as a quid pro quo for improper commitments from the candidate. Rather than preventing circumvention of the contribution limitations, § 608(e)(1) severely restricts all independent advocacy despite its substantially diminished potential for abuse. What you had as a result of that, at the level of, you know...political at the level of democratic policy, is you had money and power being pushed to the margins. You had money flowing to these outside loop-holes and not to the candidates and the parties. The candidates and the parties were bound by limits that these outside groups were not bound by. And you see, you know, I think part of the polarization of our current politics is due to the idea that it is much easier to send money to the fringes than it is to send money to the center. GWorks [00:34:40:18] What does campaign finance reform look like practically? MY [00:34:45:18] I mean, there are all kinds of ways in which to achieve...you know, there are all kinds of systems that can achieve political reform. How sympathetic the Court is going to be to these various systems is quite another question. GWorks [00:35:25:28] How does successful reform happen? Is it a public financing system? Is it a private agreement, for example, as between now-Senator Elizabeth Warren & now-former Senator Scott Brown? GWorks [00:36:20:20] Is there any idea that current campaign financing, the largesse of a very few, eventually collapses on itself? MY [00:36:25:20] I mean, money has marginal diminishing returns. And I think everyone realizes that. And you really saw a lot of that in this past election where, you know, people were trying to throw more and more money at the same television slots and the same media markets in Ohio and Florida and were paying, you know, just absurd amounts of money for these particular TV spots. And the, you know, the television audience in the meanwhile had been over-saturated with these things. So, it’s unclear how much marginal effect all of this vast spending had. GWorks [00:36:59:11] Do you believe the narrative that says campaign finance reform is unnecessary because Mitt Romney did not win or the Republicans lost seats in Congress? MY [00:37:06:11] Oh, not at all. I mean, I think that money has marginal diminishing returns. But, there are a lot of markets out there to saturate. There’s a lot of leverage that was unused in this past election. This past election, you know, I don’t...I’m unable to speak to the strategy of the Romney campaign. With regard to Super PAC spending, I felt like, you know, you had a lot of conspicuous consumption spending in this last election. And, you know, just because some guy buys himself a Lamborghini doesn’t mean he knows how to drive it necessarily. GWorks [00:37:57:20] Can the last election be thought of as a kind of market test in which large donors saw how much they could spend & how? MY [00:38:04:20] Well, you’re going to have...this was the...this was the first Presidential election after Citizens United. You had the conspicuous consumers, the early adopters. You had the, you know, people who were eager to run out there without the kind of beta-testing of this whole Super PAC thing having happened. And, I think that you’re going to see smarter and I think you’re going to see stealthier spending in the upcoming elections. Super PACs were for people who really wanted people to know how much money they were spending on the election. Corporations don’t do that. GWorks [00:38:36:25] As for engaging individual & smaller donors, is the Obama campaign, for example,—its use of social media & its appeal to a broad group of donors—a model for success? MY [00:38:43:25] Yeah...I think there are...I think that, you know, the counter is in the grass-roots, both in terms of grass-roots fundraising and also in terms of just boots on the ground. The labor unions were able to be incredibly effective in this past election because they were able to do in some ways what they had always done, which is knock on doors, have phone banks. You know, because the labor unions don’t just have a treasury, they have actual people. GWorks [00:39:10:21] Where does the success of campaign finance reform come from, if, as we have discussed, the Supreme Court does not understand the ‘political thicket’ & legislators are compromised by current campaign financing? MY [00:39:17:21] Well, legislation takes place in a lot of different ways. And, its...I think that, you know, legislators, of course, have their own political agendas and in some way they are looking to their own political survival. But, there’s a way in which a kind-of Détente in terms of spending can be pitched to legislators in a way that makes them act…do the right thing...that makes them feel like their own interests are involved in doing the right thing. So, I don’t think of grass-roots participation as opposed in anyway to policy-making or to legislation. You see different kinds of policy-making and its, especially public financing, and its ability to incentivize and increase grass-roots participation. So, for example, in the New York City public financing system, after they instituted the multiple-match, the percentage of people who gave to a politician increased by about, I think, three-fold. I mean, and, these were not large contributions. These were people giving, you know, five dollars, ten dollars, you know, in some cases more. But, it just increased a level of participation and engagement so that people felt like they had bought a part of a campaign. And, I think that that model is now being considered in New York State; it’s being considered a lot of other places. I don’t think that a reform effort is going to start in Congress. I think it’s going to start at a local level and I think it’s going to start in states. And, you know, that’s where we’re focusing a lot of our efforts right now. GWorks [00:40:59:27] Where & how does the issue of campaign finance reform cut across party line? MY [00:41:04:27] You know, you see...you know, it’s interesting. You see less political polarization in the state legislatures and less party-line voting than you do in Congress right now. And, in the states that have a public financing system, you have a 70 or 80 percent support and voting for public financing systems both among Republicans and Democratic legislators. You have, you know, people who participate in the system really like it because it means that rather than spending their time in little boxes dialing for dollars, they are going to spaghetti dinners with their constituents. And, that’s what a lot of them got into politics to do. GWorks Interviews: Monica Youn was filmed Friday 5 April 2013 at New York University School of Law. Ms Youn is the inaugural Brennan Center Constitutional Fellow at the New York University School of Law. Before this fellowship, Ms Youn directed the Money in Politics program at the Brennan Center for Justice. GWorks would like to thank Ms Youn for her generous participation, The Brennan Center for Justice and New York University School of Law. Photo of Ms Youn by Stan Kim. Courtesy Ms Youn. Photo of Justice William J. Brennan, Jr., is from the official portraits of Supreme Court of the United States (1976). Library of Congress. 1 Arizona Citizens Clean Elections Act § 16–940 et seq.